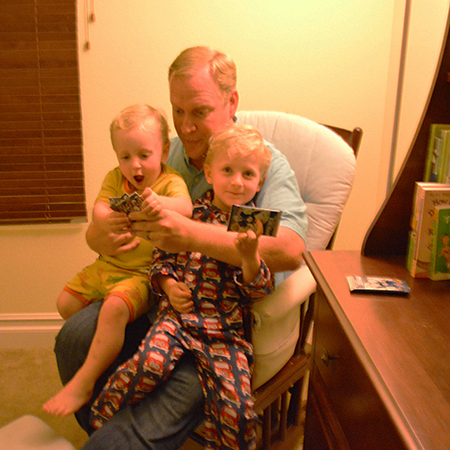 Ever since birth, I’ve tried to engage my kids with Upper Deck trading cards. I mean, what type of marketer would I be if I didn’t? 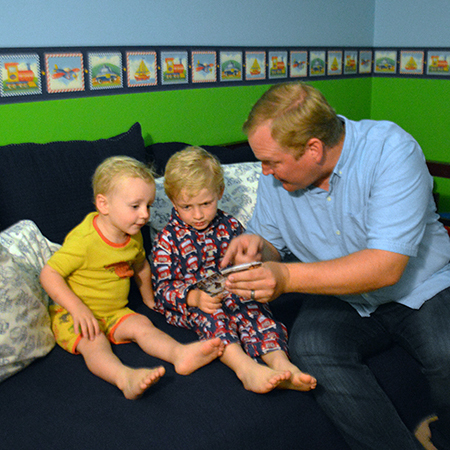 I would read to the kids using trading cards when they were younger. 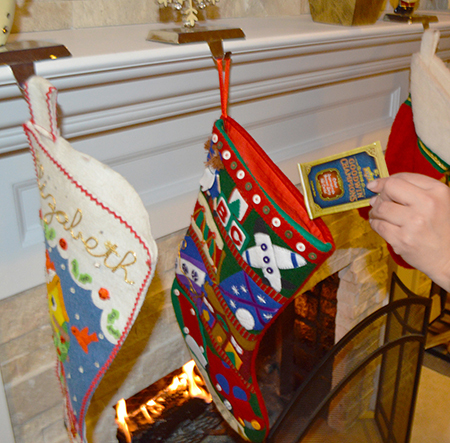 I even had Santa put a pack or two in their stockings during the holidays. 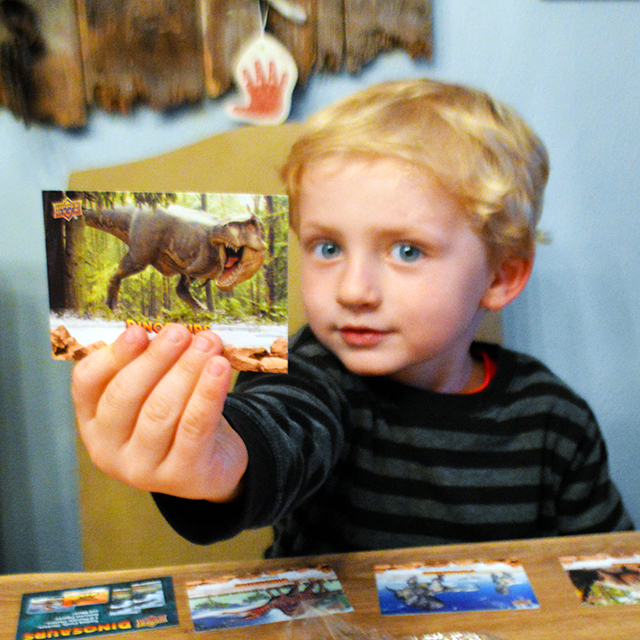 My oldest seemed to be pretty interested in the Upper Deck Dinosaurs cards and still has a small collection of them we enjoy going through together. My youngest son unfortunately has been seduced by the dark side this year as he started kindergarten. Of course I’m talking about Pokemon. It was my biggest failing as a marketer working for Upper Deck and potentially as a dad when he came home with those cards that a friend had given him. I explained to him that we only collect Upper Deck in our family and that’s how we pay the bills, but Pokemon cards still came home with him. So I knew I had to try something different. Now my five-year-old loves one thing more than anything else; police officers. 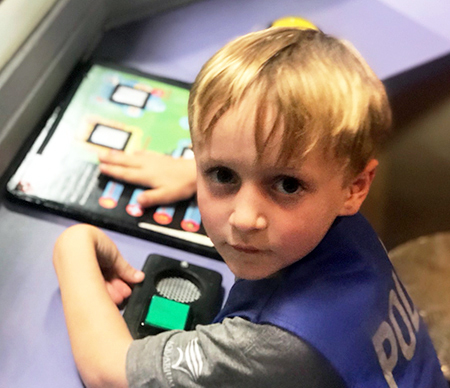 He wears police gear and one of his favorite activities is going to Pretend City to operate the police switchboard. He takes this job very seriously. 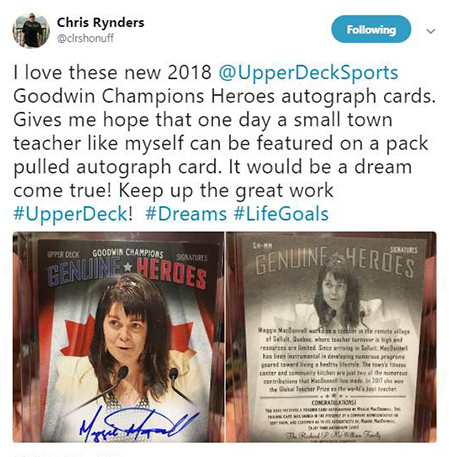 I was excited when I first heard about the 2018 Goodwin Champions Genuine Heroes cards because there was a police officer in the set. 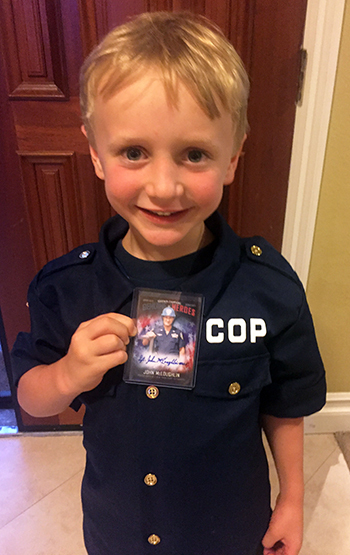 He had been asking me, “Dad, why doesn’t Upper Deck make police cards?” And now I had one for him. 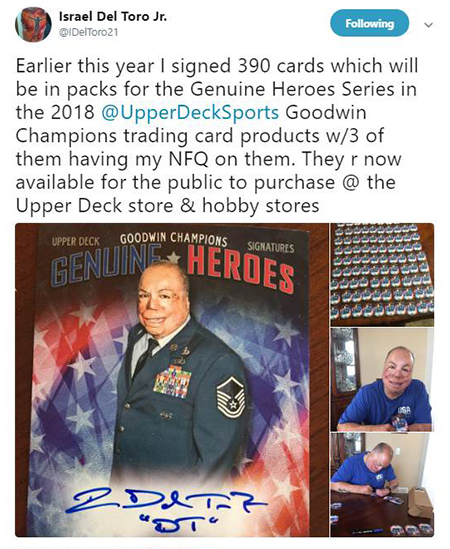 These cards are randomly inserted into packs of 2018 Goodwin Champions and can be a little hard to find. Since I was looking for something specific, I made my purchase just like many of you would on eBay and his card arrived this week at long last. He was all smiles upon receiving it and has been carrying it around with him showing it to all his friends. Take that Pokemon! What has been really cool though is to talk with him about the person on the card and how Sgt. John McLoughlin is a “genuine hero.” I started buying a few other cards from this set as for me they are an educational tool from my kids, but will also hopefully provide them with some inspiration about what they can be when they grow up. It looks like I’m not alone in that regard. There are a variety of heroic subjects in the set that are definitely worth collecting, even if they don’t score touchdowns on Sundays or pitch no-hitters. Thanks for the great story! It does not matter how old or young the person, cards can make an impact in many different ways! Thanks for featuring my tweet in this story. It is so cool to finally make it in a story on this blog page! I am a 5th grade teacher and I give cards to kids all the time as positive rewards. They do wonders! Keep up the great work Upper Deck! Thanks!